Hardwood flooring has been the first choice of homeowners for over 100 years thanks to its innate beauty and lasting durability. What are some of the benefits of having hardwood floors? Hardwoods will last much longer than most flooring products. Solid wood flooring also provides the flexibility and capability of being refurbished/sanded many times to recreate a completely new floor or simply a change in color/look. Which styles are popular today? Classic Red and White Oak in 2¼” and 3¼” widths is the standard because of availability and price. As the economy gets stronger consumers are exploring wider solid flooring options. Flooring manufacturers are increasing the selection in all profiles to include greater than 5” width even in engineered flooring. Any flooring trends that are specific to metro Atlanta? We install more hardwoods than is generally seen across the country. We live in a forest and seem to have a great appreciation for wood. How do I choose the right flooring for my home? Some things to consider are: Classic vs. Modern; Species consideration-the color and look you would like to achieve; the size of the room also give consideration to the width and length of the boards for a visual presentation; and prefinished or site finish. There are many new options in color and species in prefinished wood both in solid and engineered that we originally only could achieve the look in a site-finish installation. There are now more hand-scraped and wire brushed offerings that create a very unique look. The last important element is to evaluate the sub-floor moisture levels and of course your budget. 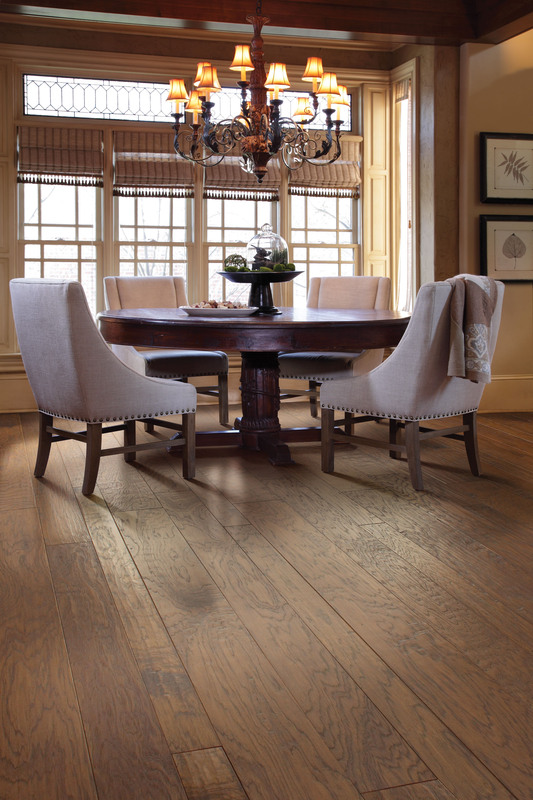 There have been more offerings in wood flooring in the last three years than in the previous 10 years. There are three elements that go into the price of hardwood floors: 1. Species–the type of wood either solid or engineered and again applying the variable of width and length. 2. Installation-nail or glue or both depending on the installation of solid or engineered. 3. Staining, sand and finishing cost if it is an unfinished product or the adhesive in installing a prefinished engineered wood. The cost can begin around $8/square foot and continue to increase based on the type and width of the product. There are many products on the market that clean the hardwood without a water application. An electrostatic mop with Microfiber technology contains most dust for the daily upkeep.